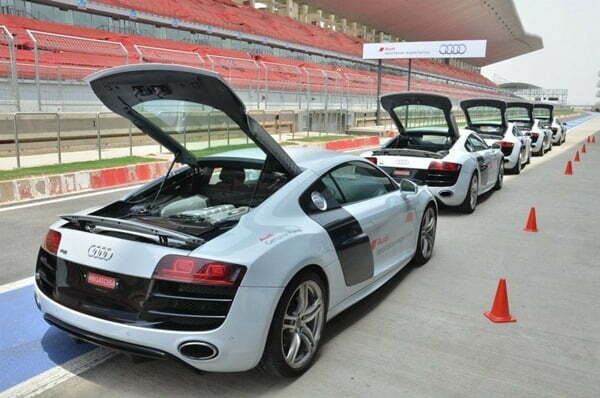 Audi India has launched SportsCar Experience (ASE) Program in India on 5th July 2012 at the Buddh International Circuit (BIC) in greater Noida. The BIC is one and only F1 racing track in India as of now and it is gradually becoming a hub of motorsports activities in India. In a similar program announced by Mercedes Benz in 2011, called the AMG Performance Driving Academy. Coming back to the Audi Sports Car Experience program, it will be divided into two different levels called the Audi racetrack experience and Audi racetrack experience advanced. The first program is the basic program which will include initial race track skills like handling, steering, braking and sector training on a race-track by experienced instructors from Motorsports fraternity including the young Indian racer Aditya Patel who was one of the drivers at 24 Hours of Nurburgring with Audi team and brought victory in the race. The second program is an advanced program which will be given only to the selected candidates who complete the first program successfully and it includes some more advanced racing skills like over and under steering and regularity tests to master the entire race circuit. The ASE program launched from 5th to 7th July at the BIC in greater Noida. 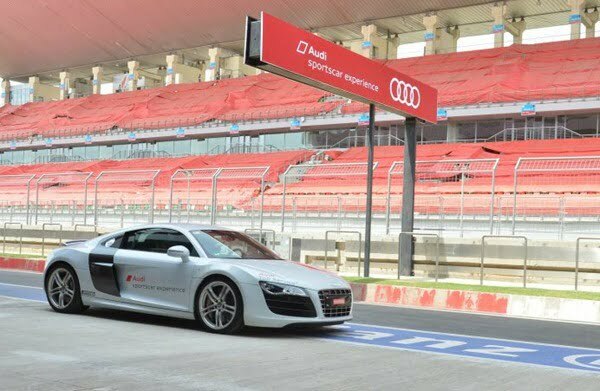 The first level or Audi racetrack experience program will be conducted from July to September 2012 while the advanced program will be conducted from October to December 2012. Audi R8 Sports Cars will be used in this program for a complete sporty driving experience which is because of their powerful 5.2 Litre V10 engine which produced about 520 BHP of power which can be tapped completely on a race track only. The fee for the program starts at Rs. 98,000 and goes up to Rs. 1.25 Lakhs for packages including shuttle and hotel stay. For more details you can contact Audi India or visit your nearest Audi dealership. Stay tuned for more updates.